BaselWorld 2012 preview - The new El Primero Chronomaster 1969 chronograph is a concentrated blend of Zenith's heritage: the historical colours of the first El Primero chronograph are associated for the first time with the emblematic dial opening revealing the beating heart of the movement - the new signature of the Manufacture Zenith. 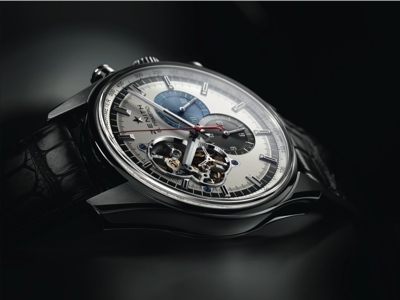 El Primero was first introduced in 1969 - hence the name of the new model - becoming the first integrated automatic chronograph movement and a benchmark for the watch industry. 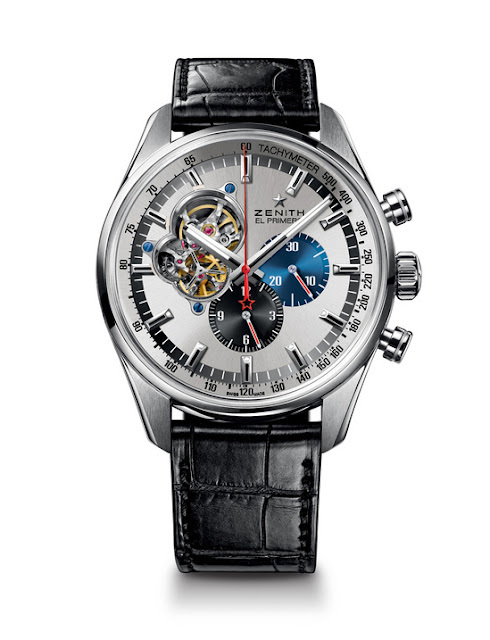 The first 1969 El Primero model was also audacious for its uncommon dial featuring three counters in different colours and a red sweep seconds chronograph hand for enhanced readability. The new Chronomaster 1969 blends these elements taken from the original model with the emblematic opening that shows the beating heart of the movement. The result is certainly eye-catching. The new El Primero Chronomaster 1969 chronograph comes with a 42 mm diameter steel case that is water-resistant to 100 metres and equipped with vintage-style round pushbuttons. It is available on a black alligator leather strap complete with steel buckle. 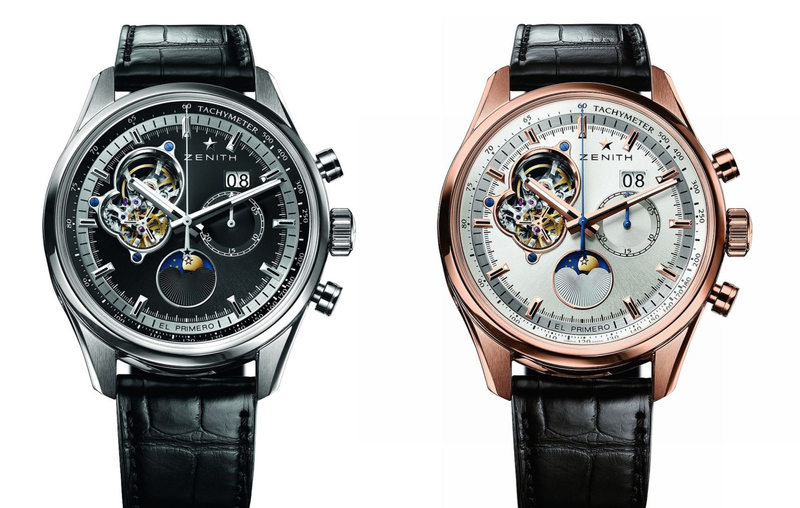 Another interesting model from Zenith is the Chronomaster Open Grande Date Moon and Sunphase available in steel and rose gold. 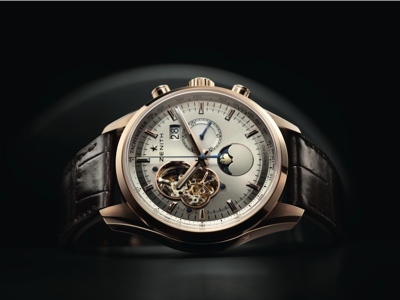 The El Primero Chronomaster Open Grande Date Moon & Sunphase features a generous 45 mm diameter case equipped with round vintage-style push buttons and water-resistant to 50 metres. It is fitted with a brown (for the rose gold version) or black (steel version) alligator leather strap with matching metal buckle.